Remember playing "I Spy?" when you were a kid? My daughter and I would play that game every time we ate at a local 'home-style' restaurant when she was little. With heaps of vegetables on our plates, we would take turns saying "I spy something.... " until the other one guessed it. 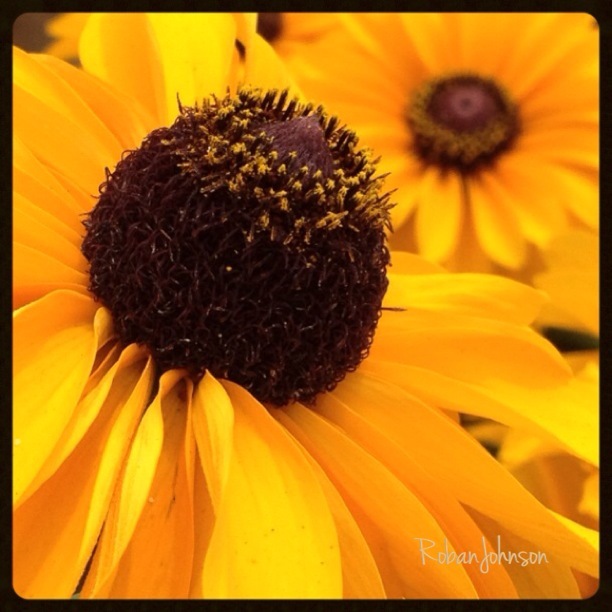 The other day, I spied a cluster of Black-Eyed Susans basking in the golden sunshine. And last year I spied this sunflower doing the same thing! What have you spied lately? 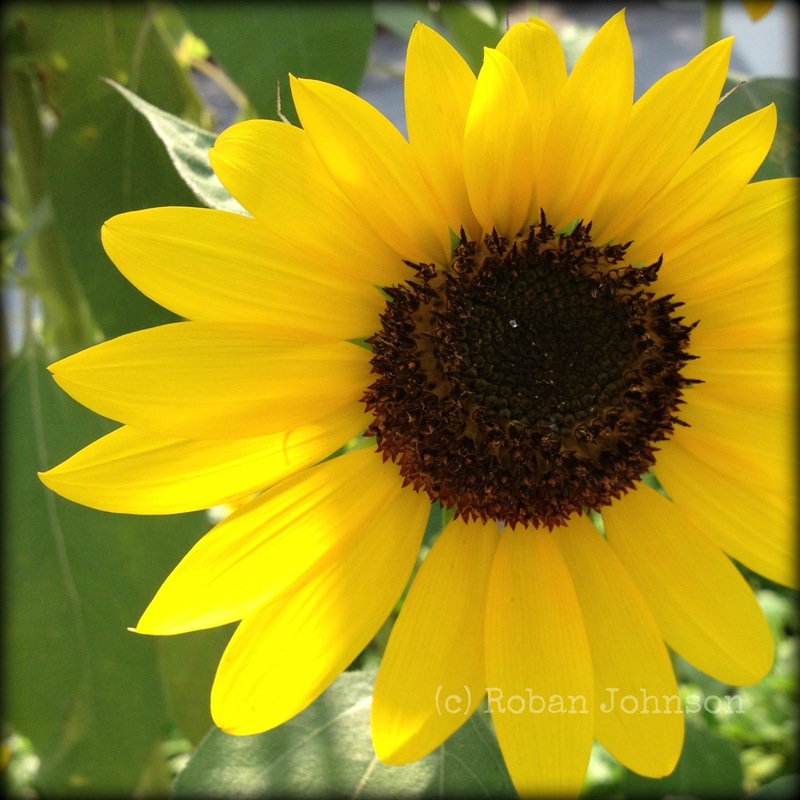 There is nothing quite like a yellow flower in the summertime! These are beautiful, Roban.